Once upon a time in Brazil there was a girl who loved to draw, and she dreamed of a world filled with princesses wearing jewelry, and long hair adorned with precious stones. "I did not know it then, but I was training so that, one day, I would design jewelry for real princesses," says Clementina Duarte. She's the Brazilian designer who created jewelry for weddings of Arab princesses in the United Arab Emirates. Her meeting with Arab royalty took place in 1982, after Clementina was invited by the Brazilian Ministry of Foreign Relations to participate in an exhibition and a fashion show in Abu Dhabi, to be attended by approximately 30 international jewelry stores. "My jewelry was chosen by Sheikh Zayed Bin Sultan Al Nahyan and by Queen Fatima Al Nahyan," the designer says. The daughters of the couple wore the jewels. "Meeting the queen and the princesses was a huge satisfaction, as was designing jewelry for them," she claims. The designer remembers very well one of her most exciting moments in Queen Fatima's Palace. According to her, during the show, the queen called upon one of the princesses, Shammah Bin Zayed Al Nahyan, to parade wearing one of the body jewels designed by Clementina. "When the princess walked in, everyone rose and said: 'Nefertiti!' It was beautiful, unforgettable," she says. Clementina has exhibited her work in renowned art galleries, museums and jewelry stores in major cities in Europe and the United States. She is well known and admired in Brazil and abroad for designing jewelry inspired on Brazilian architecture – baroque and modern -, on geometric themes and on nature. Her personal style made her the designer of items that the Brazilian government presented as gifts to queens, princesses and first ladies. Among them are Queen Elizabeth II, of England, Queen Silvia, of Sweden, and the former first lady and senator of the United States, Hillary Clinton. Graduated in architecture, Clementina studied in the first School of Architecture in Recife, capital of the northeastern Brazilian state of Pernambuco, where she was born and lived until 1964, when she decided to do a master's degree and teach History of Architecture at the School of Architecture of the University of Brasí­lia, in the capital of Brazil. The school was then run by famous architect Oscar Niemeyer, who designed Brazilian capital Brasí­lia and also projects abroad, some in Arab countries. Her career as a designer only began in Paris, 1966, at Galerie Steph Simon, where she had her first jewelry exhibition. "I was studying design at the Institut d'Art et Métiers, and then architect and designer Charlotte Perriand, a partner of Le Corbusier and Jean Prouvé, who was my teacher, saw my jewelry and curated my exhibition. The gallery showed the work of established artists and young, promising designers," Clementina recalls. After winning her first prize for jewelry design at the 1st Brazilian Biennial of Design, in 1970, she put architecture aside and started dedicating herself full-time to jewelry design. The prize was the first of many to come, such as the 1st prize in Jewelry Design at the XI São Paulo Biennial, and the Fine Jeweler International prize of the Executive Jeweler magazine, in New York. Clementina was also awarded the Order of Rio Branco, from the Brazilian Ministry of Foreign Relations, and the Order of Merit of Guararapes, from the government of the state of Pernambuco. The Brazilian designer lived abroad for 15 years – 6 in Paris and 9 in Washington, DC. "Living in French, European and North American culture was key to my development as a designer. In France and in the United States, I took several courses, and my jewelry enjoyed wide acceptance from my French and US customers," she says. Back in Brazil, she decided to put some of her work together in the book "Clementina Duarte – a arte e o design da jóia moderna brasileira" ('Clementina Duarte – the art and design of modern Brazilian Jewelry'). 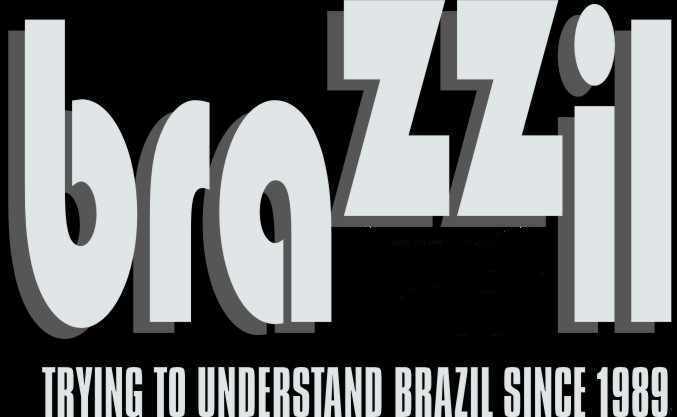 Released in 2006, in São Paulo (southeastern Brazil), Brasí­lia (midwest) and Recife (northeast), the book was edited in English and in Portuguese by US journalist Cynthia Unninayar, of the International Jeweler magazine. "She has been following my work for many years, and considered me as one of the world's 20 most outstanding jewelry designers," Clementina says. The 275-page book features approximately 350 pictures of jewelry and articles by renowned writers, designers and architects such as Oscar Niemeyer, Charlotte Perriand, Summer Ribeiro (director of the Modern Art Museum of the Calouste Gulbenkian Foundation, in Lisbon), among others. The book also features a timetable of the designer's career and a bibliography including approximately 160 publications in Brazil and abroad, all featuring jewelry by Clementina Duarte. "The book is a celebration of more than 40 years of creation and design. The objective is to represent my work in a pleasant, good-looking, and somehow didactic way," Clementina says. For that purpose, the book is organized into chapters: custom-made jewelry, sculptural jewelry, recreated jewelry, everyday jewelry, and first jewelries. All pictures are accompanied by a description and date of design. The publication was nominated for the Fernando Pini Graphic Excellence Award, the "Oscar" of Brazilian books. The first edition has nearly sold out. Each unit costs 200 reais (US$ 94) and can be found at the Marina Rinaldi store, in São Paulo, or by telephone: (11) 3541-2117. After the success of the book in Brazil, Clementina plans to release it abroad as well. Abu Dhabi ranks among the first destinations chosen by Clementina. "I want to go back to the Emirates to release my book and organize a new exhibition, if possible in 2007," she claimed. "I am even researching the favorite metals and precious stones of Arab women today, and I will design a collection specially for them," the designer says. Vimos por este meio convidar sinceramente que você e sua empresa para visitar nosso estande no Centro de Exposições Imigrantes a partir de 08-10 setembro de 2013. Nós somos especializados na fabricação de todos os tipos de 925 jóias de prata por 8 anos, como brincos, anéis, colares, pulseiras, pingentes abotoaduras ect. O material é sem chumbo e níquel livre. OEM & ODM ordens de serviço. Seria um grande prazer em conhecê-lo na feira. Estamos ansiosos para estabelecer relações de negócio com você em um futuro próximo. we hereby sincerely invite you and your company to visit our booth at the Imigrantes Exhibition centre from september 8th to 10th 2013. We are specializing in manufacturing all kinds of 925 sterling silver jewelries for 8 years,such as earrings,rings,necklaces,bracelets,pendants cufflink ect. Material is lead free and nickle free. OEM & ODM orders service. It would be great pleasure to meet you at the fair. We are looking forward to establishing business relations with you in the near future. Awesome! That woman has talent. I’ll post her website on mixedfolks.com and mulatto.org, hopefully some of the more financially well-to-do on the site might purchases some of her jewelry for their wives, lovers, or sisters or mothers. Clementina is one positive spoke in the wheel of Brazilian culture – I hope the Brazilian people appreciate her work.